This summer, I participated in the International Literacy Association (ILA) conference, which was a fabulous experience. Topping the list of highlights was meeting three authors, all of whom graciously agreed to be my Friend Friday: Juana Martinez-Neal, Adib Khorram and today’s guest, Nancy Churnin. Nancy and I happened to share a table at the luncheon and when she began to talk about her then forthcoming picture book, I was mesmerized. Quietly, but with great passion and pride, she shared a connection she’d made which led to the heart of her story. 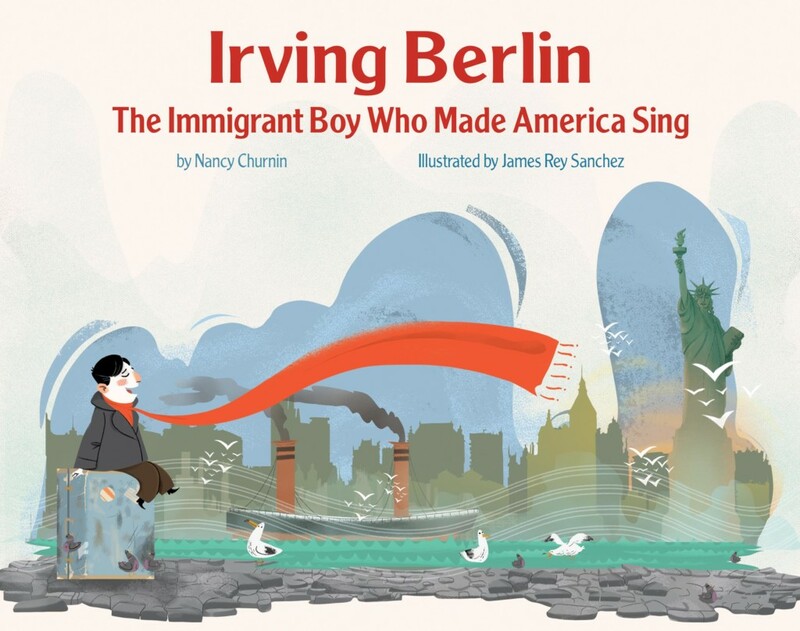 I’ll step back and let her share, in her own lovely words, how Irving Berlin: The Immigrant Boy Who Made America Sing (Creston Books) came to be. While I have made it my mission to write about people who inspire me and that I hope will inspire kids, with Irving Berlin the mission took on an extra dimension. Irving was family – not technically, but in the gut. My four grandparents, all Jewish immigrants whom I adored, came to this country around the same time that Irving Berlin did. Their first language, like his, was Yiddish. The music that filled his head, like theirs, were the prayers of the synagogue. I grew up loving those melodies. Later, I fell hard for the tunes of the Broadway theater, many of which were composed by Jewish artists like Irving. Before I became a children’s book writer, I was – and still am – a theater critic, now working for The Dallas Morning News. For years, I wondered why so many of those composers were Jewish. I had not yet answered that question when I tried to figure out how to carve a satisfying picture book out of a life that spanned 101 years, a journey from immigrant to the most generous and fervent of patriots and 1,500 songs including “God Bless America,” “White Christmas,” “Blue Skies” and many more of the most famous tunes in the American songbook. I knew that this was going to be an immigrant’s story – that it would start with Irving arriving as a five-year-old refugee to the United States, without a penny in his pocket, not knowing a word of English. I knew he would see the Statue of Liberty on his way to New York City. I knew that one day he would thank his country, symbolized by that Statue, by writing “God Bless America” for her. That was my light bulb moment! “God Bless America” was not just a song for Irving. It was a prayer. When Irving asked God to bless America, he was doing it with the fervor his father, a cantor, had brought to singing the prayers in the synagogue. Irving had taken the words of thanks he’d heard his mother say many times as a child, “God bless America,” and made them part of a song that united his two worlds the way immigrants do, creating something greater than had previously existed. Now I understood what “God Bless America” meant to Irving and why he wouldn’t accept any money for it and, instead, directed that all the royalties, worth tens of millions of dollars, go to the Girl and Boy Scouts of America. It was his way of blessing the children of the country that had given him, as a child, his home sweet home. Irving Berlin never wrote an autobiography because he felt that his songs told everyone everything they needed to know about him. Finding the connection between the Shema and “God Bless America” provided me with an “aha!” insight into this man’s incredible heart — a heart that still beats in the melodies that filled his soul and were his way of speaking to the world. I hope children will hear notes of Irving’s soul and the souls of all Americans, immigrant and native born, when they listen to “God Bless America.” I hope that the song will remind those who live here to be kind to the stranger and to the strangers that arrive that they, like Irving, are welcome and we are grateful for the gift of their presence. 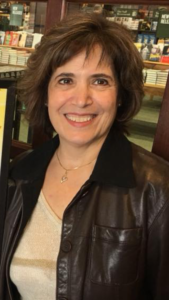 Nancy Churnin is the theater critic for The Dallas Morning News and author of several picture book biographies: THE WILLIAM HOY STORY, HOW A DEAF BASEBALL PLAYER CHANGED THE GAME, on multiple state reading lists; MANJHI MOVES A MOUNTAIN, winner of the 2018 South Asia Book Award, a Junior Library Guild pick and other honors; CHARLIE TAKES HIS SHOT: HOW CHARLIE SIFFORD BROKE THE COLOR BARRIER IN GOLF, featured at the Ruby Bridges Reading Festival at the National Civil Rights Museum in Memphis; IRVING BERLIN, THE IMMIGRANT BOY WHO MADE AMERICA SING (Creston Books), featured on the official Irving Berlin Facebook page and THE QUEEN AND THE FIRST CHRISTMAS TREE, QUEEN CHARLOTTE’S GIFT TO ENGLAN. On March 5, 2019: MARTIN & ANNE, THE KINDRED SPIRITS OF DR. MARTIN LUTHER KING, JR. AND ANNE FRANK. In 2020: BEAUTIFUL SHADES OF BROWN, HOW LAURA WHEELER WARING PAINTED HER WORLD. A native New Yorker, Nancy is a graduate of Harvard University, with a master’s from Columbia University School of Journalism.